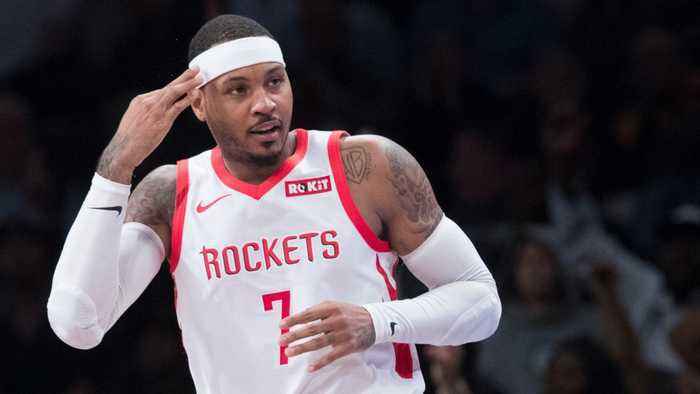 Carmelo Anthony has returned to Oklahoma City as a member of the Houston Rockets. According to Deadspin, the Rockets scored a season-low and fell 98-80 against the oklahoma City Thunder. Anthony played for 20 minutes, scoring two points,making zero assists, zero steals or blocks and a turnover. On the bright side, Dennis Schroder and Jerami Grant had an incredible play during the game. Schroder passed the ball to Jerami Grant who scored a great shot, jumping so high he almost touched the ceiling.